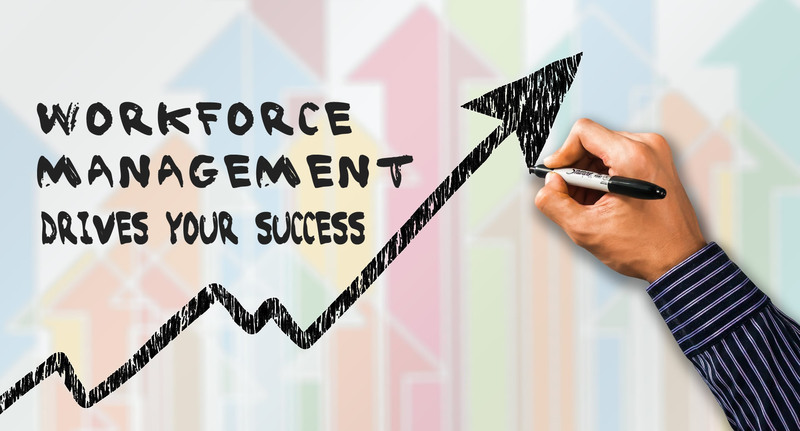 Efficient time and attendance management – in the cloud and On-Premise. Rising wages, increasing pressure on costs and tougher competition mean that existing personnel resources have to be more intelligently deployed than ever before. This is the only way to secure flexibility, productivity and competitiveness over the long term. Time recording Work performed is correctly recorded on site, automatically processed and, for example, transmitted to the connected payroll systems. The solution also provides extensive analyses. 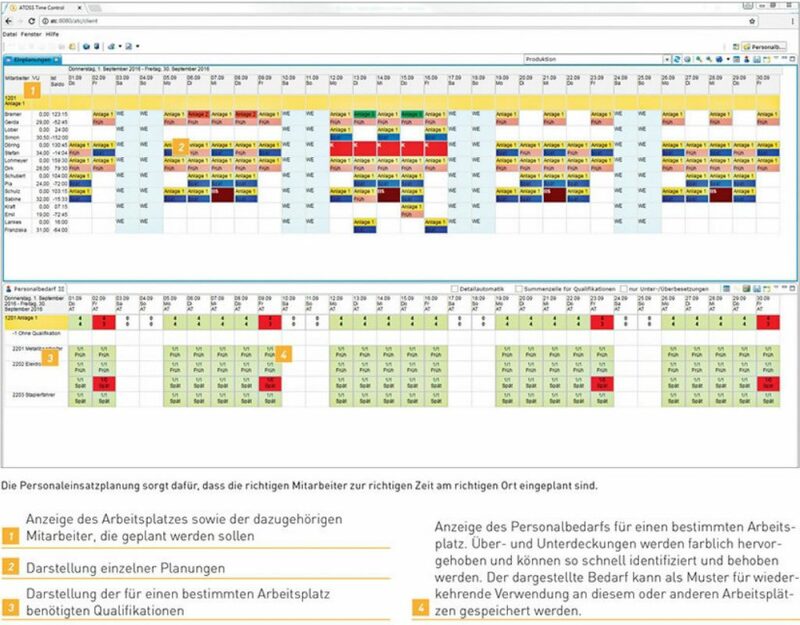 Workforce scheduling Even complex models of deployment planning can be created with a few clicks. The solution can also reflect increasing planning demands in connection with the flexibilization of working time. Project tracking Project and order data can be recorded, managed and evaluated in detail. Consequently, the risk of losing sight of time and costs is eliminated. Self Service with workflows The self service portal can be used to automate workflows, thereby simplify them significantly. Employees are actively integrated into the processes, resulting in demonstrable improvements in job satisfaction. Access control Access to areas freely defined in advance is only granted to authorized personnel. The access control data can be transmitted directly to the time recording system and further processed there. App for mobile application Access to important data and functions of time recording and workforce scheduling by smartphone. ATOSS Time Control features a modular structure. For example, you can start out with precisely the functions you require at the time, and extend them whenever you like, as required, even at short notice. Naturally, it is possible to test any additionally needed modules in advance. This is exactly how the management of working time and personnel processes is supposed to work. ATOSS Time Control supports companies with smart functions, the most advanced technologies and intuitive operation, thereby ensuring greater efficiency and success across the company. All the data relevant for personnel and work issues are available at all times for queries and reportings in updated form: You can see which employees are present, the work they are performing or for what orders work is recorded. You can define as many activities as you like using the flexible working time account technology. In this way, you can recognize the composition of your employees‘ attendance times, any absences that occur and how productively your employees are working. areas. The display currently in use is saved when you leave the client and is restored when you log on again. In this way, you can simply continue your work where you left off. A sophisticated system of rights management ensures that data may only be viewed, recorded, processed or deleted by authorized employees. Even complex authorization structures can be quickly and simply implemented in the standard version, meaning that every employee is only able to access the specific, relevant areas of the software. This creates transparency in connection with optimum security. 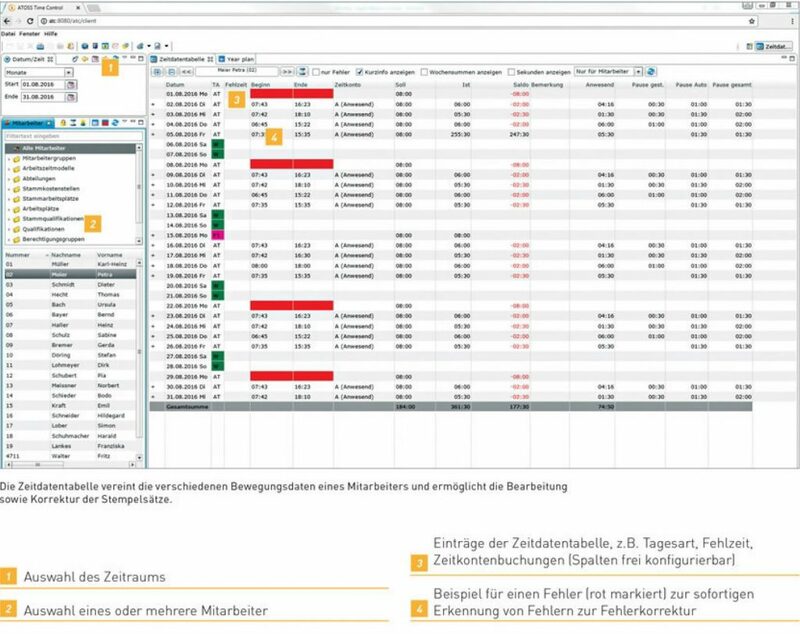 Further strengths of ATOSS Time Control include a versatile editor for the flexible parameterization of company-specific rules for working time, allowances and breaks. In this way, even special requirements can be implemented without changing the program code. The columns in many reportings are also easily parameterized. Experienced users can implement further-reaching requirements with the help of the available Report Designer. are opened. You can tailor the recording hardware individually to meet your requirement profile. There is a broad range of quality products available from our hardware partners for this purpose. The data exchange with payroll systems such as ADP, DATEV, P&I, Sage or SAP® ERP HCM PY, is plain and simple with ATOSS Time Control. Exactly the same applies to the connection of POS, PPS and other external systems. And should no interface be available in the standard version, it can usually be readily installed via the integrated script language without incurring major input. Every year, ATOSS invests 20 percent of the company‘s sales in research and development. In this way, our solutions always represent the latest state of the art, while keeping our customers‘ investments optimally protected. ATOSS Time Control is programed entirely in JAVA as an Eclipse RCP/RAP application, making it especially powerful, flexible and platform-independent. The solution also offers a unique framework technology: drawing on JAVA as the standard programing language, the ATOSS Time Control API can be accessed through a SOAP-based web service. This enables any modifications to its functional scope that may be required, as well as the flexible integration with existing applications. A future-proof database concept connects to the common Microsoft SQL server or the H2 open source database. The Express Edition of the MS SQL server can also be used free of charge with ATOSS Time Control. All of this makes ATOSS Time Control a secure and affordable solution ensuring long-term investment protection. ATOSS Time Control is optimized for network scenarios and can be deployed on Windows workplaces or flexibly as an application in the current generation of standard browsers – in the cloud or on-premise. As a result, the connection of distributed locations is very effective. The underlying client/server technology provides optimum data security and outstanding performance. ATOSS Time Control has been extremely successfully deployed for more than 20 years. Every day, it enhances the efficiency of Human Resources departments and employees in more than 3,000 companies. Our customers include Avis, Cine-World, Euronics, Exide, Host Europe, kingdom of sports, Pepsi-Cola Germany, session, Spiegel TV, Vanderlande and WISAG. Major corporations have also discovered the benefits that this industry-independent comprehensive solution can provide for their branch networks. ALDI SÜD, for example, has opted for ATOSS Time Control for its decentralized personnel management in around 1,800 branches. 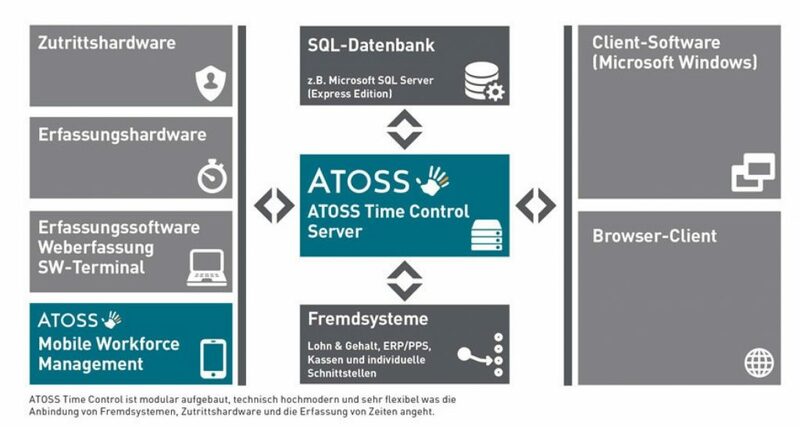 ATOSS Time Control is currently available in five language versions. ATOSS is a provider of consulting, software and services focusing on professional workforce management and demand optimized personnel deployment. From conventional working time management, classical time recording, mobile apps or sophisticated workforce scheduling, ATOSS has the right solution – in the cloud or on-premise. ATOSS Workforce Management solutions stand out thanks to their extremely high functionalities and the use of the most advanced, leading-edge technologies, while offering complete platform independence. The solutions deliver measurable contributions to greater value creation and competitive capabilities and strengths. At the same time, the solutions ensure greater scheduling fairness and job satisfaction.